It's Wednesday and it is hard to believe the week is almost over. It has been a joy getting to know your children. Below is a list of a few highlights from our week. Sunday: we spent some time on the High Ropes course. Being the first day is was a great way to break down some barriers and start building the trust necessary in working together towards leadership. Vespers on Sunday started the conversation of being rooted in Christ and what that means. Monday: the day started out with an early morning of setting up breakfast for all the younger camps. Later in the day we rode horses and spent several hours on the Low Ropes course learning how to be lead and how to lead. Vespers on Monday continued on the conversation of being rooted in Christ and how humanity is uniquely chosen out of all creation to have a relationship with the Creator. Tuesday: the campers were able to lead some games and songs for a few of the younger camps and then had a blast interacting with the whole camp at GrandFam time. Vespers Tuesday covered the unique relationship we have with Jesus and Him being our teacher. We read through Psalm 23 and explored that unique relationship with the analogy between and his sheep. 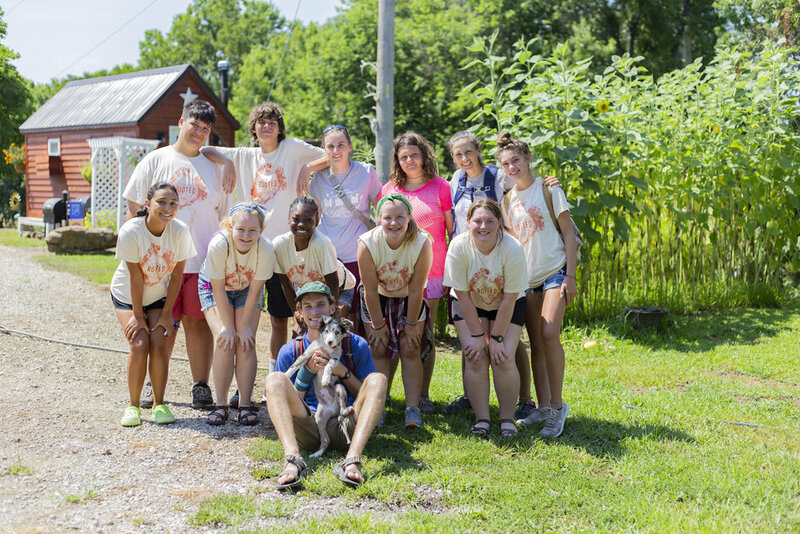 Wednesday: the campers were able to take the lead with Heartlands Culinary campers and assist them as they prepared for the first ever Heartland bake sale. Campers had a blast and we hope to finish the week out with similar activities of interaction with the younger camps and exploring the various styles and aspects of leadership. In vespers we will continue on the conversation of what a relationship with the Creator/Jesus looks like and how we are only complete in Him. Camp has been stretching and challenging for most of our campers on some level, but it has been fun to watch them develop and grow through the process. Thank you for sharing their lives with us. We are blessed because of them!